Hello...very nice website on the Mackay estate. I've always wanted to learn the history of the estate, having driven past the Gate House thousands of times when travelling down Harbor Hill Road, both by car and on my bike. I also took, what now seems to have been the obligatory hike up the old gate house road to the ruins. Not much was left by the early 60's. But, my friends and I may times hid our bikes behind the gate house walls and climbed up to the Long Island Rail Road (LIRR) tracks for exciting hikes down the tracks to the Roslyn Cemetery. I grew up in the Norgate section of Roslyn in the early 1960's, after having moved there from Glen Head. I attended St. Mary's Grade School from the early 50's and graduated in 1963. Rather than attending Roslyn High School, my parents turned me into a commuter and I rode the LIRR into the city each day to attend Loyola High School. I now live in Albuquerque, New Mexico, where I graduated from the University of New Mexico in 1974. My family has all passed away, and I have no acquaintenances left in the Roslyn area, but your website has really opened a"path to the past" by re-awakening these old memories. I was very fascinated by your work on the Mackay Estate. I also did a lot of historical work with the Roslyn Air National Guard Station. 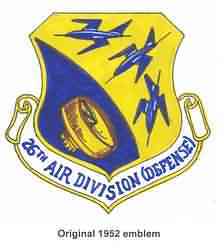 It is located at http://www.radomes.org/museum/ Click on "Defense Air Divisions" then click on the 26th Air Division patch. This will take you there. I am in contact with the Roslyn town officials and they have published some of my Roslyn history in a brochure. More from Jan: I did forward your link to the Roslyn town officials. They were very impressed with your site. I worked at the station from 1988-2000 as a military member, until it closed in July 2000. I was later transferred to Gabreski Air National Guard Base in Westhampton Beach, NY where I work now. Before it closed, I decided to do a historical outline on the old station, then it kinda grew into a huge historical view of the old base. I have accumulated enough historical data on Roslyn that it has filled up three, 5-inch binders. It was a huge project, but something that I enjoyed doing. I am currently writing a book about the station. Also the Roslyn town officials asked me to help design a memorial plaque for all those units who were stationed there. I recently drove by the station and most of the buildings have been demolished, and the back forest cut back dramatically. It is so open now since you last drove by there. My Grandfather worked at the Mackay estate and my mother grew up there, riding horses. I have photos of the barn and horses. 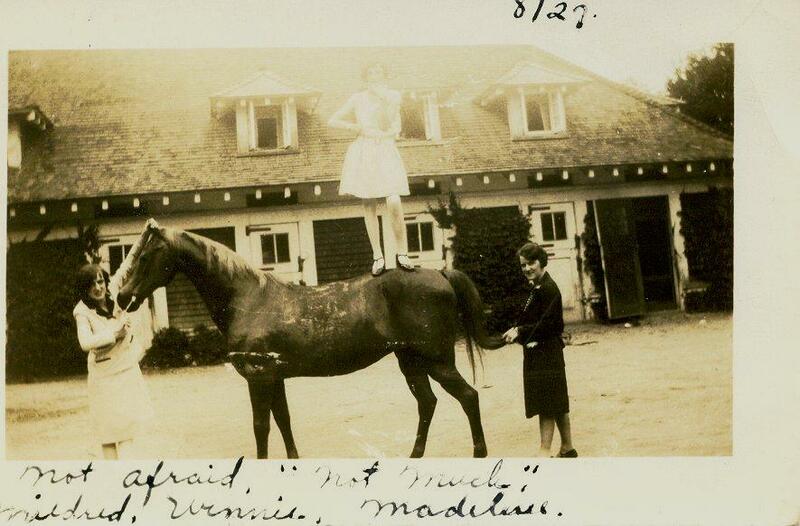 [Photo with horse above shows Madeline Murtaugh, Michael's grandmother] My grandmother helped Ellin Mackay sneak out to see Irving Berlin, when Mr. Mackay wouldn't let them see each other. My mother has fond memories of growing up there. I also have a signed portrait of Mr. and Mrs. Mackay with their dogs given to my grandparents, Mr. and Mrs Lee Murtaugh.